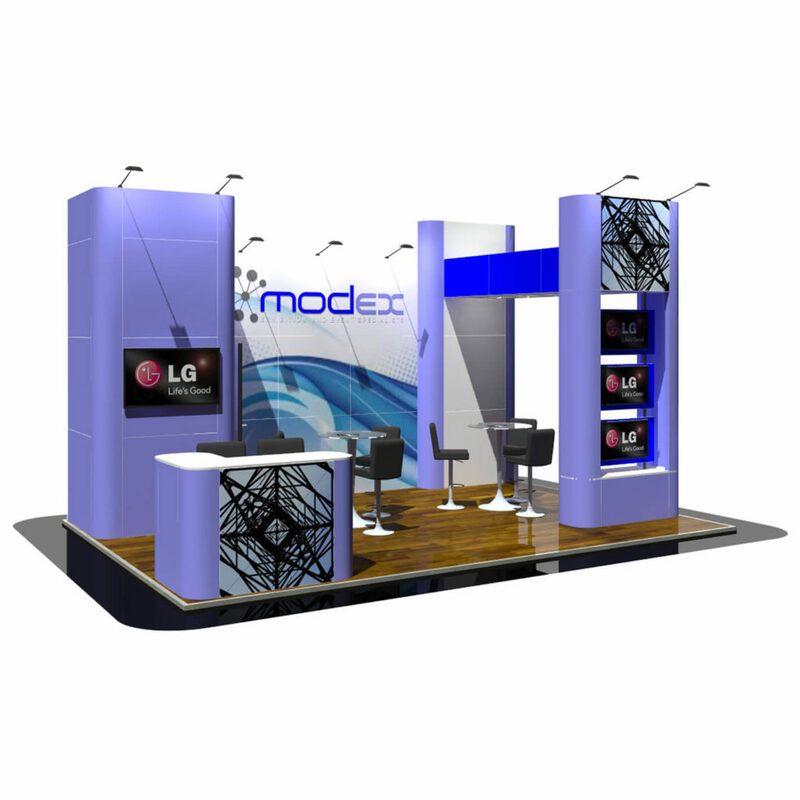 A 6 x 4 metre exhibition stand that uses the area well. It incorporates a storeroom, 2 seating areas, a freestanding front counter and 4 display screens for product showcasing. The stand also includes a protruding column which is attached to the main wall by an underlit header section. The front column has an opening that contains 3 display screens. The whole stand has plenty of advertising space for you to incorporate your graphics.